To have a successful team, you must have different values that you believe make a team successful, and use to inform your actions. Our team values many components that are necessary for seamless teamwork. We have various different values such as honesty, respect, openness, and more. The decisions we make are based on these values and beliefs, which result in a strong and dedicated team. This quote drives our interactions with others on our team. We respect all our team members and treat them with kindness, and never look down on them. Honesty is extremely beneficial because it helps a person conquer problems and excel in all of their adventures. Honesty is what helps us build relationships with our members and expose our true self to each other. Being honest with each other allows us to form a connection with our team mates. We value openness because it is something that can truly show others someone’s personality and their ideas. As a general rule, we don’t hold ideas and opinions back from each other so that we can collaborate more effectively. Teamwork is a necessary skill because a project always has many different roles and they all have to be achieved to their best. We all have different skills, and when we work together with these skills, we are capable of achieving greatness. Accountability allows us to create a stronger team and stronger individuals. With accountability, we are able to stay on progress and continue to create something great. When we learn, we acquire knowledge that can be very useful for activities. Learning is very important because it helps us gain knowledge and wisdom and to be a better team member. It can help us discover and build better things. We teach the rookies of our team everything we know, so that they can use that knowledge for the better. Being a member of 5431 means that everyone have a role that makes this team better and allows us to fulfill our goals. We must live up to our word and put in 110% on everything that we do. Everyone on this team has a purpose, to do great things for this team. During the 2017 STEAMWorks season, we developed our current team leadership structure and built not one, but eight robots over the course of the season. The STEAMWorks challenge offered three different main tasks, from collecting fuel, to placing gears, and climbing a rope. We made it to quarterfinals in the Dallas and Waco regionals and got wildcarded to FIRST Championship. There, we competed on Hopper field and made it to quarterfinals. 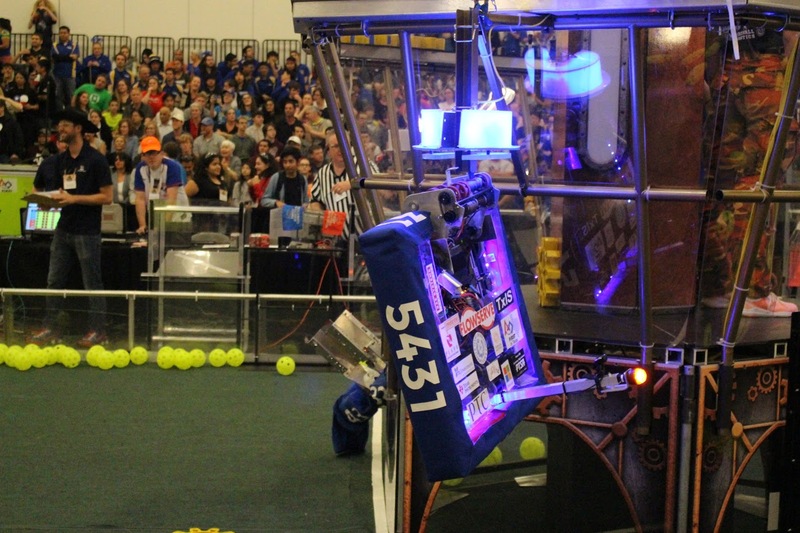 In the offseason, we attended the Texas Robotics Invitational and Texas Robot Roundup events. 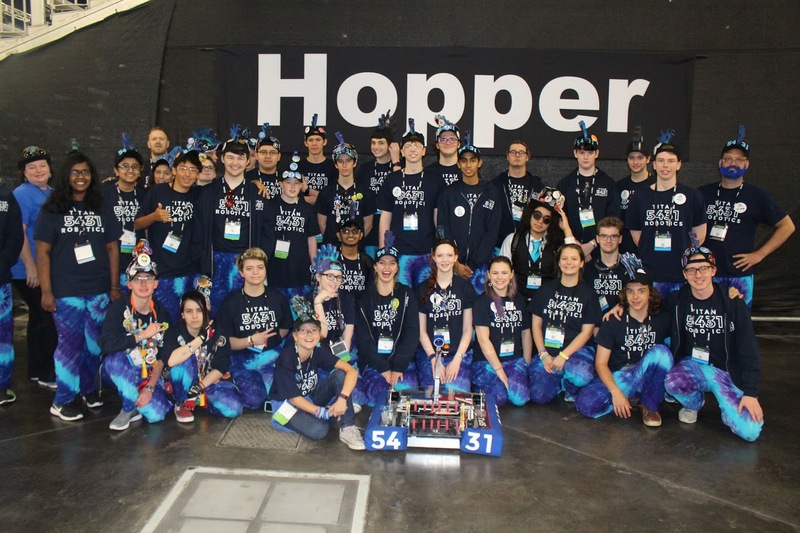 During the start of October, we helped host our own event - NTX Robotics - where we were finalists and won the Team Spirit Award. During this year, our team changed significicantly. Coach Eaddy joined the team alongside Coach Hardy and Coch Burnham. The team almost doubled in size as we got a large influx of new rookies to train. Our team went through much growth, and although it was not easy, it made us who we are today. Mrs. Burnham and Mr. Kinney remained with the team as coaches for the 2015-2016 school year and were joined by Mr. Michael Hardy. The school year began with earning 3rd place finish in the BEST robotics challenge “Pay Dirt” and earning the Nick Nickleby Sportsmanship award at the CoCo BEST event held at Prosper High School. FRC kickoff brought us “Stronghold” and many long hours in the fab lab. Iron Titans for the 2016 season logged hundreds of hours in the fab lab and in programming! 2016 also brought us a great leap of faith when a late major revision to the robot design triggered a new robot build with less than 2 weeks before bag and tag. It was time well spent as the team went on to finish as finalists both at the Dallas Regional and at the Lone Star Regional which secured a wildcard berth to the World Championships in St. Louis, MO. 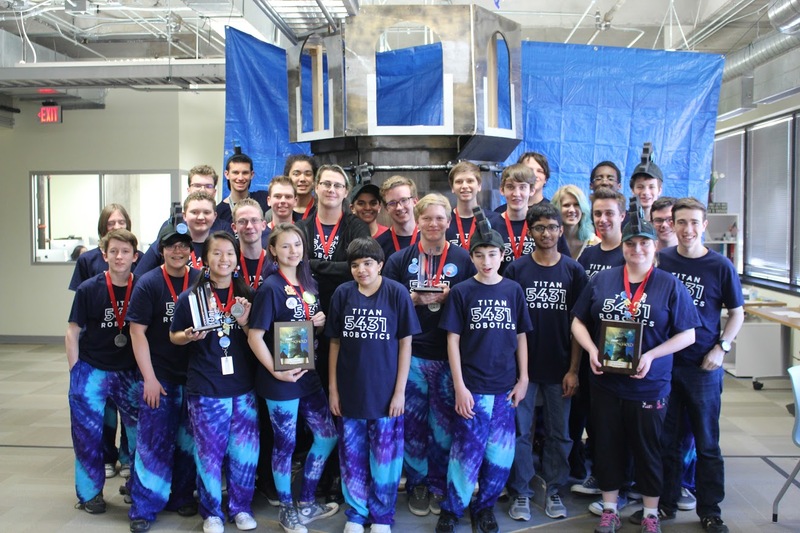 In addition, 5431 won the Imagery Award which “celebrates attractiveness in engineering and outstanding visual aesthetic integration of machine and team appearance” at the Dallas Regional, and the Team Spirit award at the Lone Star Regional. Using the district scoring formula, Titan Robotics finished the competition season as the 6th highest ranking FRC team in the state. 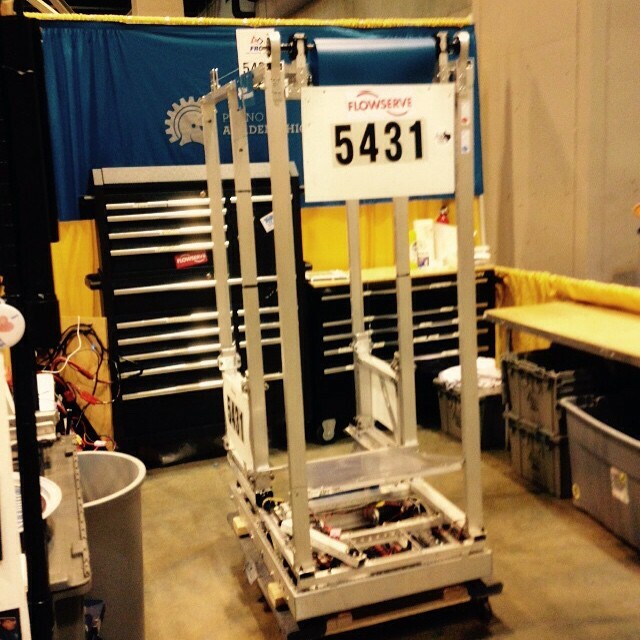 Our second consecutive trip to the World Championships in St. Louis concluded with team 5431 in 16th place following the qualifying matches. 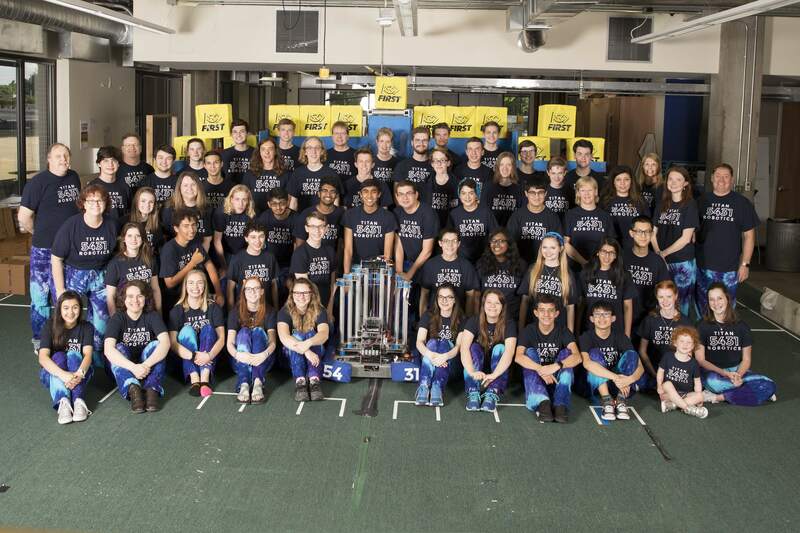 2016 also marked the team’s first foray into post-season events with an invitation to the Texas Robotics Invitational in Houston and Texas Robot Roundup in Austin. On January 8th, 2015, we celebrated the FIRST Kickoff of the Recycle Rush with a webcast viewing party at Texas Instruments. 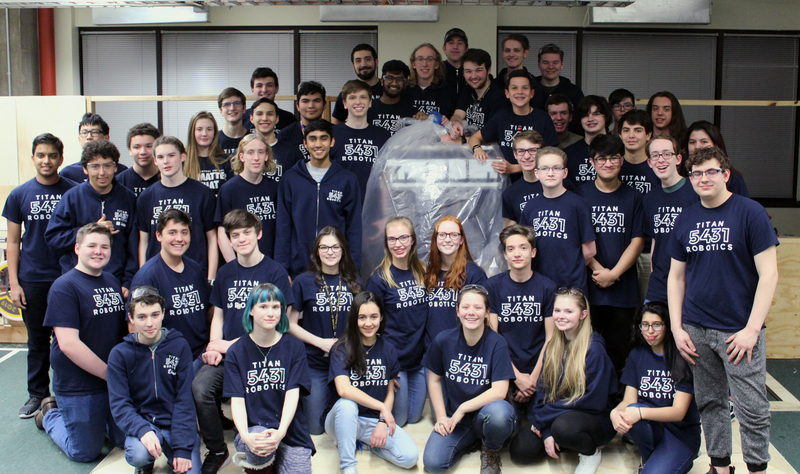 The inaugural Build Season was in full swing, with the team meeting after school and on weekends for 20+ hours per week. After bagging and tagging the result of our labors, we traveled to the Dallas Regionals to compete at the Irving Convention Center. Our first year team was the highest-seeded Rookie Team (10th place) and brought home the Rookie All-Star Award and the opportunity to compete at the FIRST World Championships in April in St. Louis, MO. The team competed on Carver field and completed qualifying rounds in 26th place. Titan Robotics was selected by alliance captain team 971, Spartan Robotics, team 1717, D’Penguineers, and team 2834 The Bionic Black Hawks. 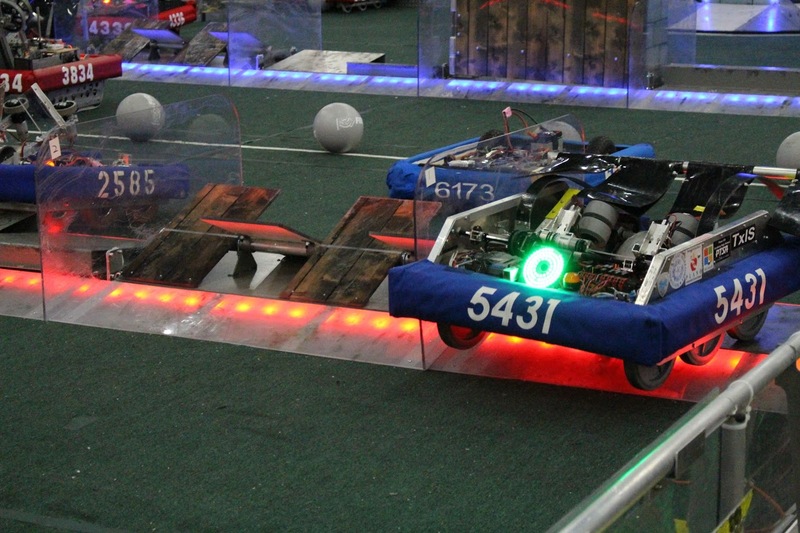 The alliance made it into the semifinal round yet was plagued by field connection issues. An inspiring trip to St. Louis energized Titan Robotics to strive for tremendous team experiences on and off of the competition field. 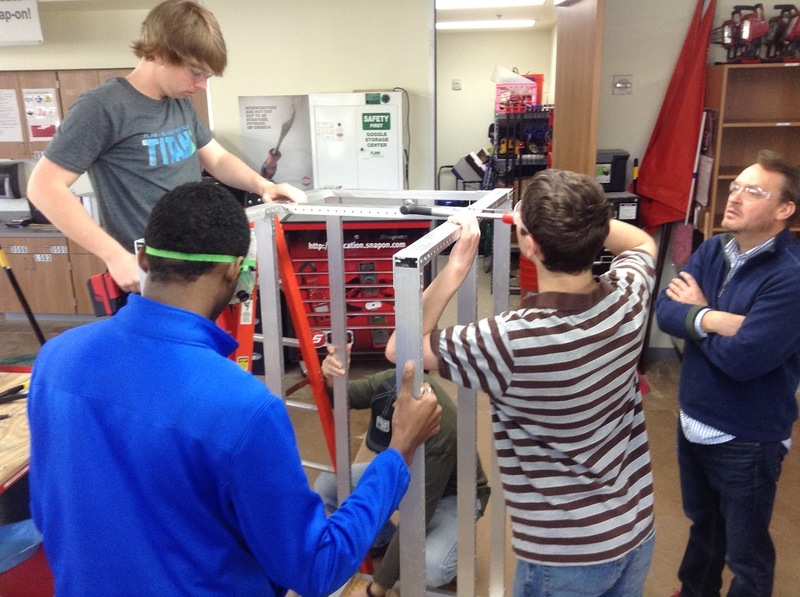 Titan Robotics got its start in the fall of 2014 as a small but inspired group of learners. Mrs. Haley Bolton, computer science facilitator, coached the first BEST Robotics team and the FRC team began under the direction of Academy High School mathematics facilitator, Mrs. Stephanie Burnham, computer science facilitator Mrs. Bolton, and physics facilitator, Mr. Mark Kinney.